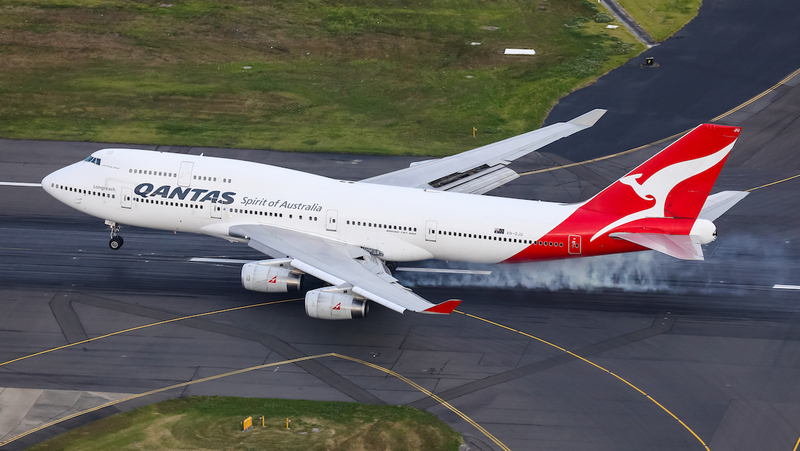 This story first appeared in the March 2019 edition of Australian Aviation. There are few sets of numbers that immediately bring to mind a picture, but 747 is one of them, all thanks to Boeing’s iconic aircraft, the original “jumbo jet”, which made its first flight on February 9, 1969. Of all the aircraft ever produced, the 747 is the most famous – but that also means that part of its story has a tendency to drift from fact to folklore. As the 50th anniversary of its first flight approached, Australian Aviation sat down for a wide-ranging conversation with Boeing company historian Mike Lombardi to separate the history from the fantasy, to delve into the fascinating background of this unique aircraft, and to learn how Boeing didn’t just build the 747 – the 747 built Boeing. At the time the 747 was conceived, designed and created, Lombardi began, “the jet age was still quite new. The 1960s was an amazing time of growth, both for the airlines and for the industry, keeping in mind that the 707 had just been introduced in 1958 followed, just a few years later, by the 727 and the 737. “It was also very apparent at the time,” Lombardi said (in a wry nod to hindsight being 20/20) “that once the supersonics came out — the Concorde and the ill-fated Boeing Supersonic Transport — passengers, especially on international travel, would gravitate to those airplanes. So that did influence the design of the 747. Enter Joe Sutter, the legendary Boeing engineer, the oft-described “father of the 747”, put in charge of an aircraft that at the time was seen as something of a secondary endeavour for the airframer. 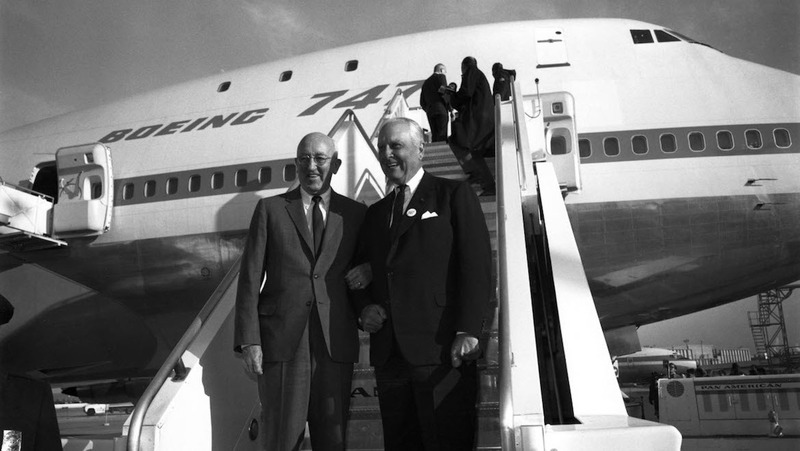 Lombardi explained: “Joe Sutter and his team at Boeing knew that the 747 would take on a broader role in carrying freight, as a cargo airplane rather than a passenger plane. With that in mind, they set out to make the airplane a great freight aircraft, a great cargo aircraft. Contemporary wisdom from the jet-age military came from the rear-loading Lockheed C-141 Starlifter, introduced into the United States Air Force in 1965, and from the Lockheed C-5 Galaxy which entered service five years later and can load from the nose and/or tail ramps. Boeing, for its part, had provided interim lift at the beginning of the jet age with the side-doored C-135 Stratolifter aircraft from the same family as its 707. 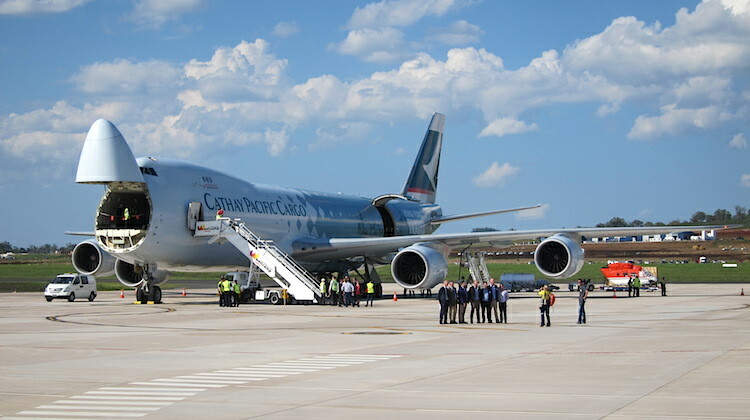 Sutter and his team “made the decision that they would make the 747 capable of having cargo loaded through the nose of the airplane. Of course, the problem with that – even when you look at a 707 or DC-8 – is that the flight deck is in the way. That’s where the idea of putting the flight deck on top of the fuselage came from. Get the flight deck out of the way so that you could hinge the nose and load cargo,” Lombardi said. “That’s how the 747 got its hump. A huge part of the 747 is that distinctive shape. It came out of this whole idea that the airplane would be a freighter; that a lot of the passenger planes would be converted to freighters, probably sometime in the 1970s. Much credit for the market demand for the 747 is usually given to Juan Trippe, the giant of aviation behind Pan American World Airways, better known as Pan Am. That credit, Mike Lombardi said, is well deserved. He said Boeing had been working on a response to a contract eventually won by the Lockheed C-5. The Boeing proposal for the CX-HLS (Cargo Experimental-Heavy Logistics System) resembles little more than a high-winged 747 with a 707 tail, clearly showing the evolution of what would become the 747. At the time the 707 was making inroads into the high-speed travel market against the competitive backdrop of the British Overseas Airways Corporation (BOAC) Comet and the Soviet-inspired TU104. “He had a good relationship with Boeing’s CEO at the time, Bill Allen, an incredible partnership that really spawned the jet age. He came to Bill Allen and said: ‘We want a bigger airplane. We want something twice the size of a 707’. Lombardi said early concepts based around making the aircraft twice the size of the 707 involved taking two 707 fuselages and stacking one on top of the other. “Sutter, who headed up the design team, didn’t like that idea from the beginning,” Lombardi said. Instead the team pushed for width and, essentially at that time, brought about the introduction of the widebody airliner. The scale of the 747 compared with contemporary long-haul airliners was mammoth: twice the size, twice the number of passengers, more than twice the weight. The largest airliners of the time were just a few metres longer than Boeing’s current line of 737s. “It wasn’t just fractionally larger, like some of the big planes we’re putting out today where you add a couple of feet to the wingspan or the height of the tail and call it the world’s biggest jet. That’s what was amazing about the 747. Lombardi said that at the time it was so big that people wondered if it was capable of sustained flight. On February 9, 1969, it did just that, with four ground-breaking high-bypass turbofan Pratt & Whitney JT9D engines powering the aircraft that would later be known as Queen of the Skies into the air above Everett, Washington. 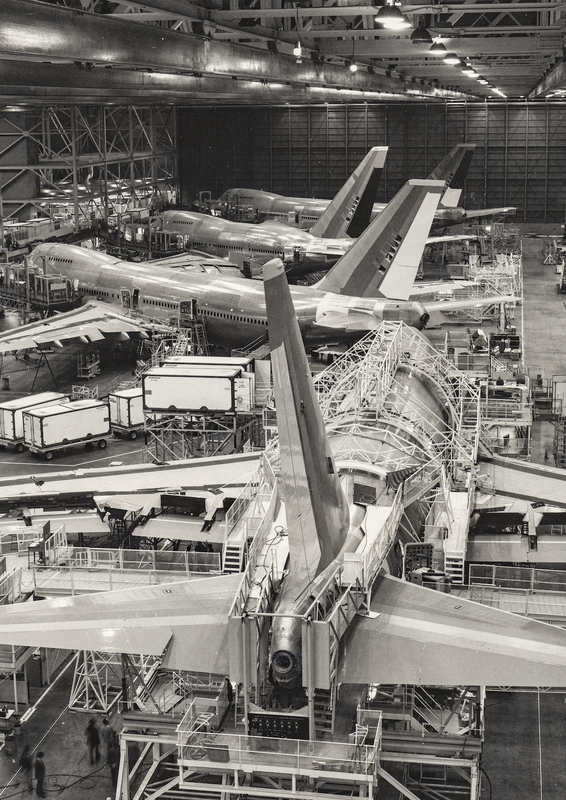 But even before its first flight, the 747’s design was predicated on cargo. The practicalities of its initial and predicted cargo missions were, and remain, integral to the 747 together with the contemporaneous design of the unit load device (ULD), the element of the containerised shipping revolution that would change the face of airline cargo for the next half century and beyond. ULDs are the metal boxes in a variety of shapes and sizes that passengers worldwide are used to seeing whizzing around airports on baggage carts, being loaded into aircraft or sitting on the apron. The size, shape, capacity and other characteristics of ULDs are specified by the International Air Transport Association (IATA), the primary global airline trade association, but the size and shape of the original LD1 container relates directly to the shape of the belly cargo space within the Boeing 747. Lombardi said one of the interesting debates of the time, against the backdrop of the military cargo planes already in service – primarily the C-141 Starlifter and the Lockheed C-5 – was around the ease of loading from the ground of an aircraft with a high wing. When it came to the 747 the design decision was to create a low-wing aircraft, but also for ease of maintenance of the engines and parts of the airframe. As well, said Lombardi, “there’s some other aerodynamic ideas that just work better as low-wing airplane. “With that decision to make the airplane a more conventional, commercial jet . . . they had to come up with an idea of how to load the plane,” he said. Above the cargo deck, however, the 747 created an entirely different world of passenger experience. The early jet age jumbos featured everything from lounges to full beds to pianos. Early on, Pan Am “wanted a piano on the upper deck, which had to be put into the airplane before it was finished, so it had to be put in during assembly because there was no way to get onto the upper deck, otherwise,” explained Lombardi. 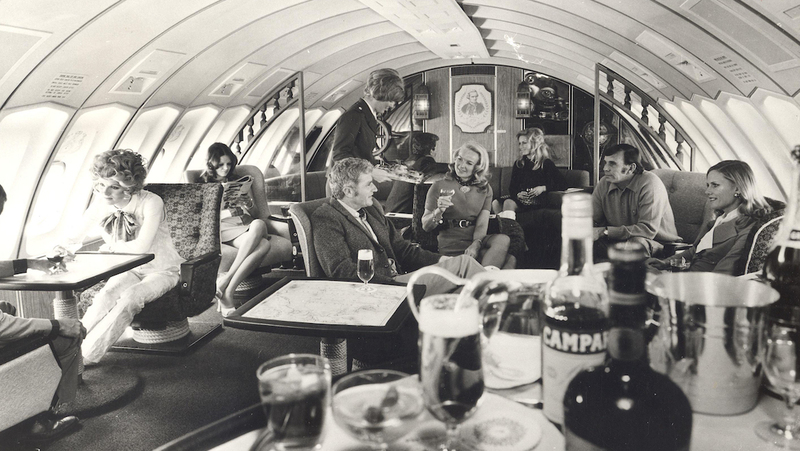 From Qantas’s Captain Cook Lounge to the myriad other spaces – often garishly 1970s in colour, materials and style to our modern eyes – the upper deck 747 lounge did not last long. The 747-200, enabled for full passenger seating on the upper deck, came with a full set of windows along the upper deck rather than just the three windows of the upper lounges, spaced farther apart. Some airlines, including TWA and British Airways, later converted three-windowed -100 jets to a full set of 10 windows and after seats were installed upstairs, the 747’s hump became a swift favourite with flyers in the know. “Once they started putting more passengers into the upper deck and realising there was more revenue up there with passenger seating rather than having a lounge, there was some interest in expanding it,” Lombardi explained. Airlines then installed either economy class seats in a 3-3 configuration, or, more frequently, early business class recliners in a 2-2 layout. Some early international premium economy seats also found their way upstairs in a 2-2 formation. Later, angled sleeper seats, or fully flat business class beds in a 2-2 configuration, were supplanted by fully flat beds with direct aisle access such as those offered by Virgin Atlantic, Cathay Pacific or Delta. Even today, habitués of business and first class continue to debate their preference for the private jet-like atmosphere of the upper deck versus the tapering nose of the 747 which also went from either a 3-3 economy, 2-2 in business, or 1-1 in first class and then 1-2-1 or 1-1-1 in business, depending on the seat used by particular airlines. Further back, the original economy configuration of early 747s was a remarkably wide nine-abreast, compared with the universal 10-abreast 3-4-3 layout of today’s 747 passenger fleet. Qantas, for example, operated early aircraft in a 3-4-2 configuration, rarely seen today except by those passengers travelling on certain Japan Airlines 777-300ERs. Yet much like the later 777, the 747 fell victim to the densification of economy class, and a 10th seat was installed. Until the arrival of the Airbus A380 in the mid-2000s, the 747’s reign as an airline flagship aircraft allowed carriers to introduce a wide variety of passenger experience innovations, including business class in the late 1970s, premium economy in the early 1990s, the first fully flat bed in first class on a modern airliner (British Airways in 1995), the first angled lie-flat sleeper in business (Virgin Atlantic 1999), the first fully flat bed in business class (British Airways 2000), and the first fully flat bed offering direct aisle access to every passenger (Virgin Atlantic 2003). Stretched upper deck versions of the 747, often marked by “SUD” in their model names, débuted on the domestic Japanese high-volume routes as the 747-100BSR, and were later offered by Boeing as both a linefit and retrofit option for the -100, -200 and -SP series, creating an interesting challenge for observers throughout the service lives of these aircraft. Later, the Japanese market 747-400D, with its stretched upper deck but lacking the -400’s signature winglets, would similarly challenge the next generation to distinguish between it and a 747-300. But take a moment, close your eyes and imagine a 747. Does it have the stretched upper deck? Does it have winglets? For a growing proportion of readers as time goes by, the answer to both those questions, and thus their image of the quintessential 747, will be yes. That’s the 747-400, which comprises nearly half of the 747 aircraft built to date, across the -400, -400D (Japanese domestic), -400ER (extended range), -400ERF (extended range freighter), -400F (freighter) and -400M (combi) variants. Indeed, combi versions of the family, where the rear section of the main deck was given over to door-loaded palletised or ULD cargo, were built for the -200, -300 and -400 generations of the 747. 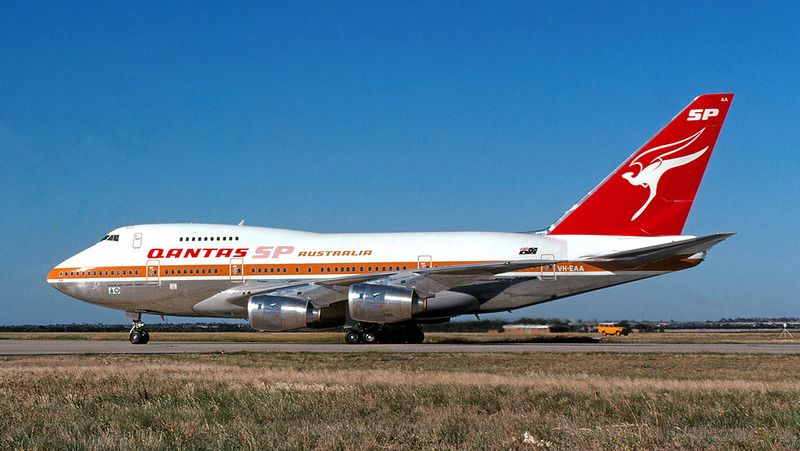 The 747-400, developed in the 1980s with the benefit of improved aerodynamics, fly-by-wire controls and two-person flight decks (from experience with the 757 and 767 programmes), would come to dominate long-haul flying for many years, particularly for the Australian market. 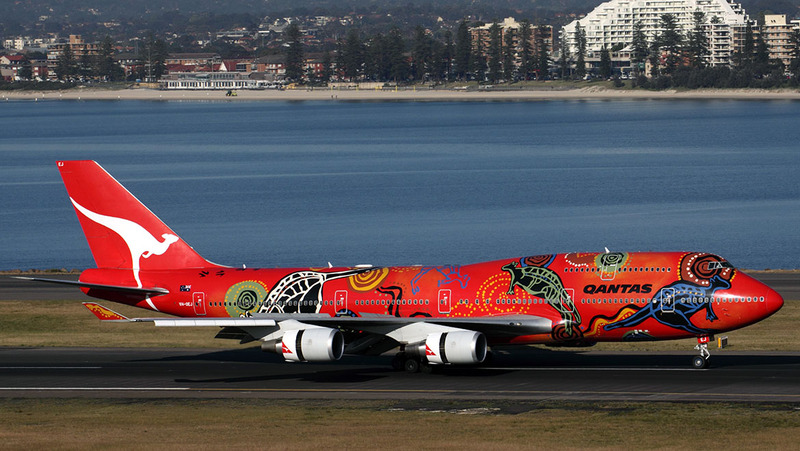 The -400 increased range to 7,285nmi, and the 747-400ER, ordered only by Qantas, to 7,670nm. 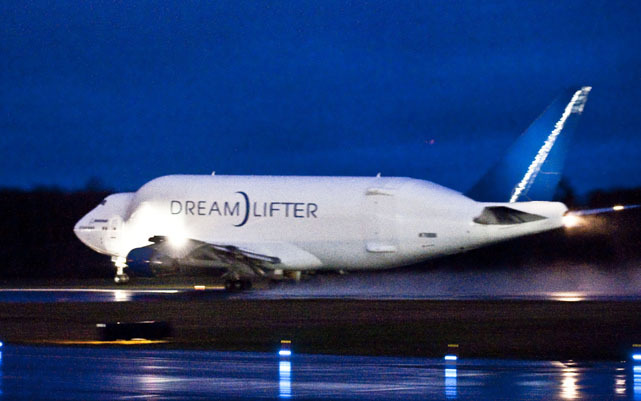 The -ERF freighter model, which offered either a boost in range or payload, rounded out the 747’s production at the end of the 2000s, with the final -400ERF delivered in 2009 before the first flight of the 747-8F in 2010 and the passenger version, 747-8I, in 2011. To date, neither has been as hugely successful as its widebody stablemates or previous 747 generations. But the 747 isn’t just one jet, and never has been. Like other stalwarts of the skies, it has evolved beyond recognition in many ways, apart from the most immediately visible: its iconic hump. “The 747 was probably our most studied airframe, I would say, in the entire history of the company,” said Boeing historian Mike Lombardi. “The product development team looked at that airplane in so many different ways over the years, and had so many different ideas. I think that the one they had hoped for the most, and it didn’t really come about, was making it into a military cargo airplane. There was big competition with the DC-10 for an advanced tanker cargo airplane. I think that was one . . . everybody felt that we wanted very desperately to win, and didn’t come about. “There were a number of interesting studies done in making the airplane bigger, and those eventually did lead to the plane we have today, the 747-8, and advancing it, making it better, (with) a more efficient wing and putting bigger engines in it, stretching it a bit. “We see the results now really with the ultimate 747 in the -8: that airplane has probably been studied for a long time in a lot of different ways,” Lombardi said. US space agency NASA operated two heavily modified 747-100 airframes as the Shuttle Carrier Aircraft, capable of transporting the space shuttle orbiters from their landing site to the launch site, and indeed launched the first test space shuttle, Enterprise, from the top of one of the carrier aircraft in 1977. These aircraft were retired in 2012, but NASA and the German space agency DLR still operate the Stratospheric Observatory for Infrared Astronomy (SOFIA) telescope on a modified 747SP, N747NA, previously operated by Pan Am and United Airlines, contains a large infrared telescope behind a port side door aft of the wing, retracting in flight to allow telescope operations above the level of most water vapour in the atmosphere. The United States Air Force E-4B, the military version of the 747-200B, serves as the Advanced Airborne Command Post, designated the National Airborne Operations Center when in action. Nicknamed Kneecap from its previous name, the National Emergency Airborne Command Post (NEACP), it is intended to serve as a survivable command centre for US command and control operations, and was commonly known during the Cold War as the “doomsday plane”. Similarly, the two VC-25 aircraft commonly known as Air Force One are only technically so designated when actually carrying the President of the United States. These aircraft, based on the 747-200B and delivered in 1990 to replace the VC-137C – based on the 707 – are themselves to be replaced by 2024 by a pair of heavily modified 747-8Is. 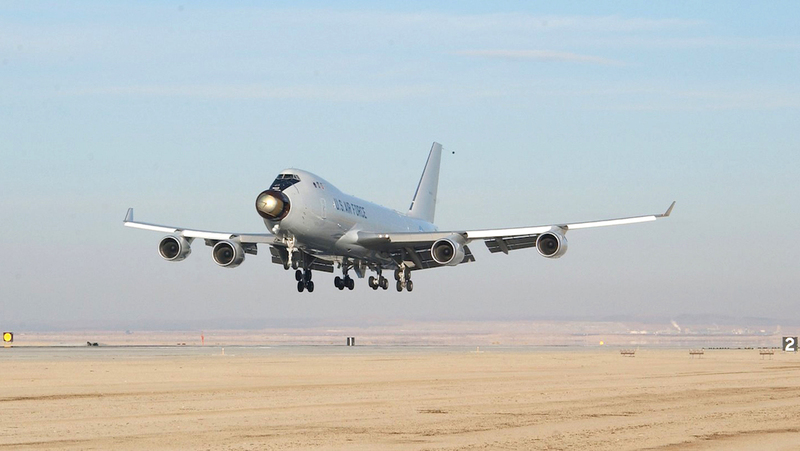 Possibly the oddest-looking 747 ever modified was the YAL-1A Airborne Laser Testbed, a modified 747-400F that operated between 2002 and 2014, intended to intercept tactical and intercontinental ballistic missiles by heating their skin to create structural failures. But there’s still plenty of time in the life of the 747 programme for that modification to be surpassed. The Airbus A380 is larger. The Boeing 777 and soon the Airbus A330 are more numerous. The air and cabin pressure inside newer jets such as the Airbus A350 and Boeing 787 are better for fatigue and jetlag. More modern aircraft have more spacious first and business class seating – though arguably that is not true for many aircraft in economy class with high-density nine and 10-abreast seating (the 787 and 777 respectively). In the foreseeable future, the 747 will cease production but will remain the icon, the gold standard, the jet that first said jet to travellers across decades and across continents, the flagship of fleets worldwide for nearly half a century, the testbed for technologies and inflight products that Joe Sutter and his teams could barely dream of, the aircraft that made stepping on to a plane one moment and stepping off it a day later on the other side of the world not just possible but commonplace. The 747 inspired generations of aircraft enthusiasts young and old, changed the way Boeing operated, and redefined the world of airline travel. Its role can’t be understated not just in its operations, but in how it changed Boeing as a company — and the aerospace industry by extension. “It really reinforced this idea of doing difficult things at Boeing, and that’s an idea that really goes back to Bill Boeing who suggested that’s what we do,” said Lombardi. “I think the 747 was a great example of that: it was very hard. It was long hours, coming up with brand new ideas, thinking outside the box, pushing limits on all fronts: intellectually, financially, even physically, with people working just extreme hours to get this done, and the dedication to get it done. “In all, they set an example for us today here at Boeing. They gave us the belief that we can do hard things; that we can essentially take things that other people say are impossible to do and do them. Here it is 50 years later. We’re still building it. VIDEO: A look at the history of the 747 from a 2016 post on Boeing’s YouTube channel. This story first appeared in the March 2019 edition of Australian Aviation. To read more stories like this, subscribe here. I had my first 747 flight way back in July 1971 LAX/LHR on a PANAM 747-100 B771PA and N738PA on the return three weeks later, and have had many more since on the 200, SP, 300 and 400, all absolutely enjoyed. Have had the pleasure of quite a few jumpseat take off and landings as well over the years. When you see one , you still have to marvel at its size, and grace !